As the spectre of an El Niño event looms large, rainfall in India reduced drastically in the week from September 6 to 12, recording 25 per cent below normal. The Southern Peninsula witnessed a deficit of 72 per cent, largest among all other regions, according to a press release from the Indian Meteorological Department (IMD). In fact if the trend continues, then this September could turn out to be the driest in 17 years, as reported by The Indian Express. On the other hand, the IMD has predicted a revival of the monsoon due to the formation of a low pressure area in East-Central Bay of Bengal. In a tweet, the secretary of the Ministry of Earth Sciences, Madhavan Rajeevan had also announced the revival of the monsoon and its end towards the end of September. 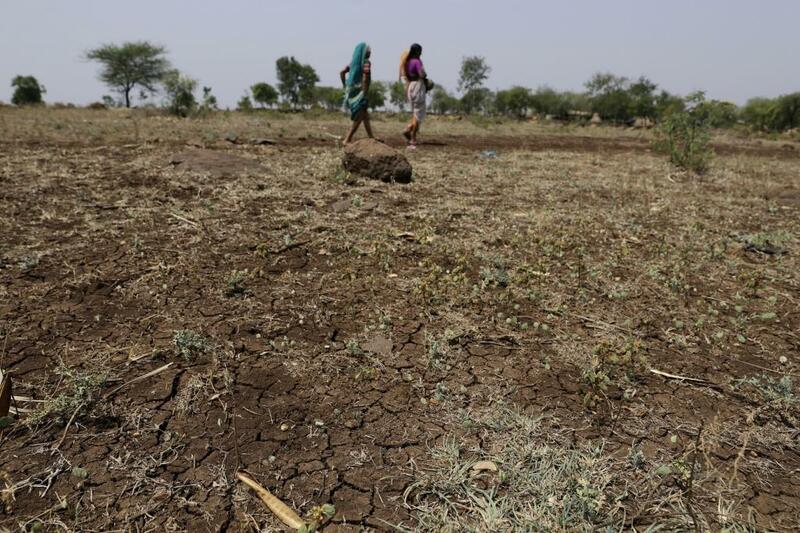 India, as a whole, has received 8 per cent less rainfall than normal this monsoon season, and even the distribution has been dismal with 255 districts having a deficient (-59 to -20 per cent) or scanty (-99 to -60) rainfall season. These account for 38 per cent of all districts in the country. Uttar Pradesh has the most number of rain-deficit districts (26), including Kushinagar, which has the highest deficit (81 per cent) in the country. Jharkhand and Bihar in the East; Gujarat in the West; Tamil Nadu and Karnataka in the South have high number of rain-deficit districts. Apart from Tamil Nadu and Jharkhand, all the above mentioned states have also seen floods this season. Fifteen Indian states have faced floods this monsoon. The East and North East regions are staring at a possible dry season ahead. The region has a rainfall deficit of 23 per cent up to September 12. States such as Manipur and Meghalaya have seen a very lean monsoon season with high deficits of 56 per cent and 38 per cent respectively, till September 18. This is when Assam and Nagaland, while reeling under deficits, also suffered floods due to intermittent high rainfall events over short spans of time. Floods killed 53 people in Assam and 11 in Nagaland, according to the National Disaster Management Authority. Generally, monsoon has been erratic. For example, the neighbouring districts of Theni and Madurai in Tamil Nadu have experienced contrasting trysts with the monsoon this year. While the former has a rainfall excess of 214 per cent, the latter has a deficit of 36 per cent—a swing of 250 per cent within hundred kilometres.